Stupendous: This course teaches the author to have pride in one’s self and work, which verifies the productivity and perfection that is needed for success. Excellent information! As a new writer, this is information I wish I had researched and known about sooner. I had no idea what could be done to get your name out there to sell books. I have a lot of work ahead of me, but it is better than sitting on my hands wondering how I can sell more books. Thank you. Sincerely. 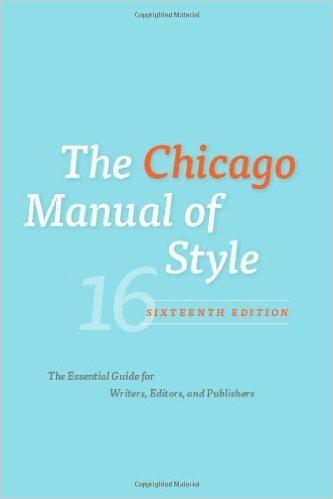 All services excluding scholastic publications use The Chicago Manual of Style, 16th edition, the preferred style guide in the book publishing industry, and the Merriam-Webster dictionary. Manuscripts are reviewed using the Microsoft Word Track Changes feature. Scholastic edits use APA style and the Merriam-Webster dictionary. Manuscripts are reviewed using the Microsoft Word Track Changes feature. (two passes + proofread, expected turnaround time – up to two weeks.) The copy editor reviews for grammar, spelling, and punctuation mistakes, minor rewriting for the sake of clarity, and continuity errors. Line-by-line editing focuses on paragraph structure, sentence flow, and word choice. Specifically, the line editor points out passive voice, wordiness, weak words, overused words, redundancies, inconsistencies, and repetitive sentence or paragraph structures. Also addresses plot structure, characterization, and pace. Includes review for grammar, spelling, and punctuation. We request a brief synopsis or outline when the manuscript is submitted. Usually done for a proof copy and reviews formatting issues introduced during the publishing process. These include end-of-line breaks, and spacing issues with paragraphs and sentences. Also checks for errors in grammar, punctuation, and spelling. Designed to clean up an early draft, the content editor looks at the story’s structure, not the words. Deals with substantive revisions of the manuscript’s content, and points out things such as unrealistic dialogue, point of view errors, too much “telling,” flat characters, inconsistent character behavior, sagging middles, information dumps, plot holes or lack of conflict. The content editor reads the entire manuscript, and writes an in-depth analysis of strengths, and weaknesses for plots, and characters. Normally, the content editor does not correct spelling, and grammar mistakes. Sometimes authors need someone to provide clarity and direction, especially when it comes to writing techniques. As your personal coach, Polish Point Editing can help focus your writing for optimum benefit. *First 20 minutes are free as an introductory session and to determine next steps. If you are unhappy with our work, we will do a free pass with another one of our editors. If you are still unsatisfied, we will refund 50% of the total cost plus PayPal transaction costs. Balance must be paid upon job completion. No-interest payment plans, not to exceed six months, are accepted for contracts over $1,000. For telephone, email, and text message communication.